Papergreat: Did you enjoy your weekend down the Jersey Shore? My, now times have changed. 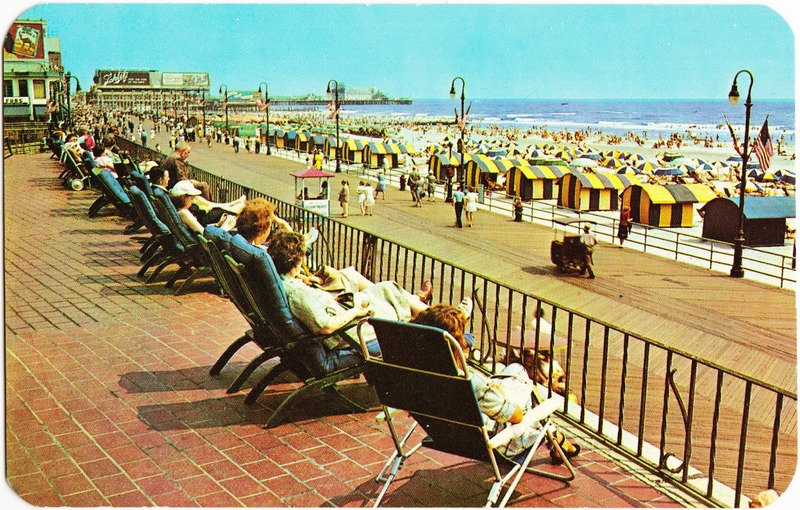 This vintage, unused postcard depicts the view "overlooking boardwalk and beach from sundeck of Marlborough-Blenheim, Atlantic City, N.J."
I'm guessing this postcard dates to the 1960s. 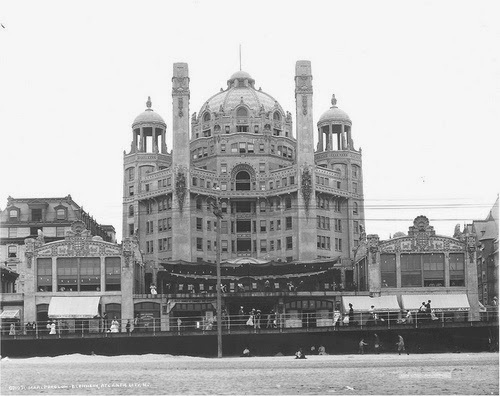 The Marlborough-Blenheim Hotel opened in 1906 and was demolished in 1978. It was quite an architectural wonder and was, at one point, the largest reinforced concrete building in the world. Bally's Park Place now stands on the former site of the Marlborough-Blenheim. In this postcard photo, the beach is lined with blue-and-yellow beach tents and umbrellas. The beach is full, the boardwalk foot traffic is light and, in the distance, you can see billboards for Camel and Schlitz. The postcard was published by KARDmasters of Atlantic City. Weekend postcards: Who's going to the beach this summer?